This photo shoot was a dream to design and so much fun to work on. 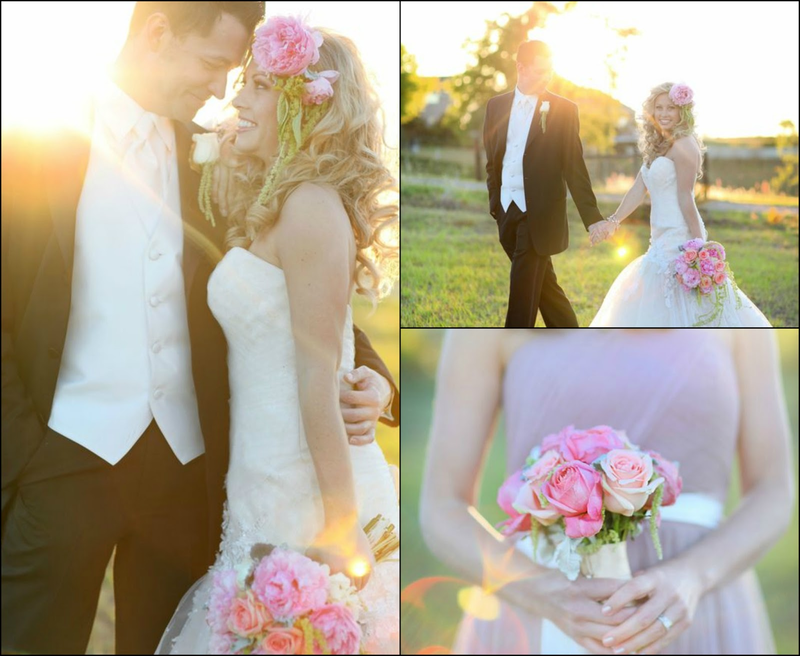 Everything looked beautiful and Wings of Glory Photography‘s pictures came out great! 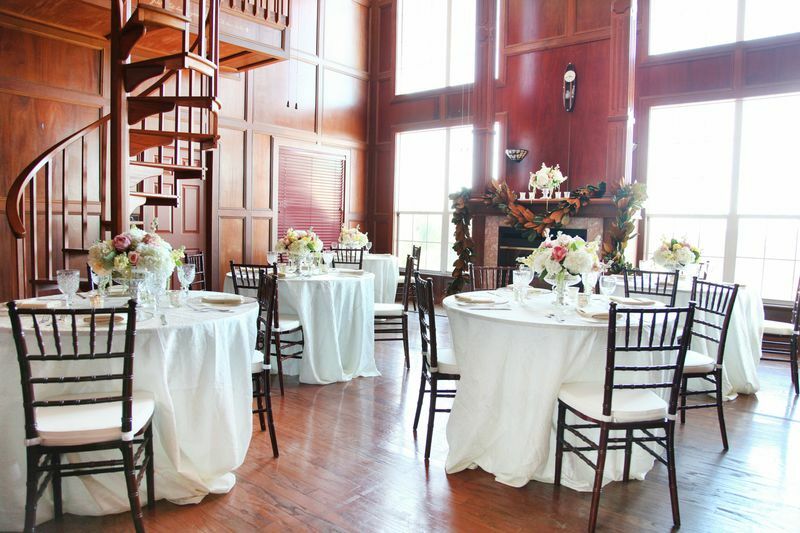 It was held at the stunning and new private estate/ event venue- The Garden Chateau. We had a storybook backdrop to work with and the amazing team collaboration made this vision of beauty a reality. 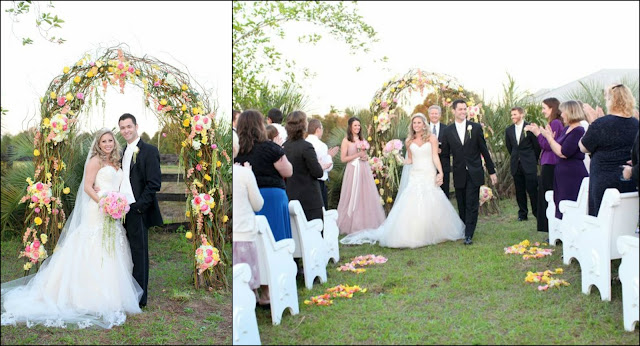 The “couple” married under an arch of roses by Flowers By Lesley. 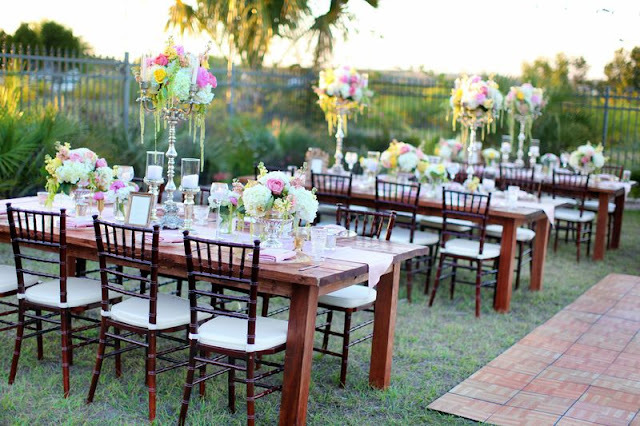 To complete the vintage chic feeling, A Chair Affair used their picturesque church pews. Flowers By Lesley also provided the bride’s and bridesmaid’s stunning peony and rose bouquets. The bride’s Alfred Angelo dress photographed amazingly from every angle and the groom looked snappy in his tuxedo by Absolutely Fitting. 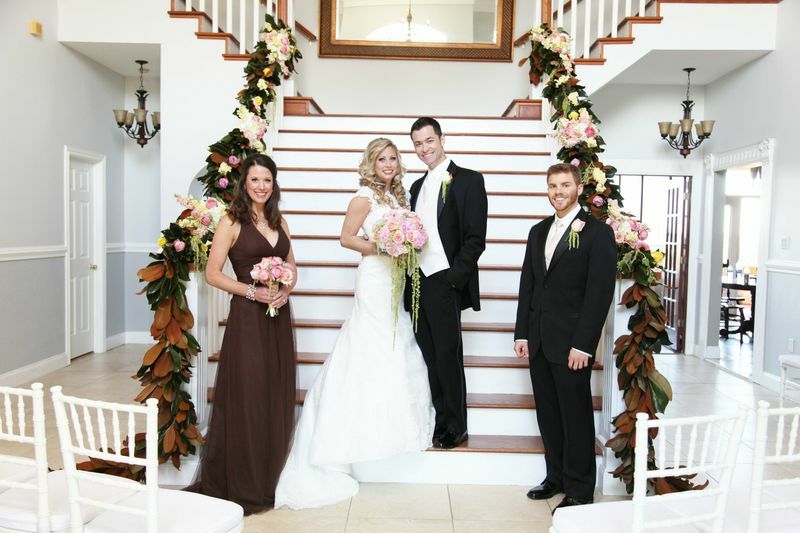 The wedding party’s hair and make-up, done by Kristy’s On-Location Makeup Artistry & Hair Design, looked timeless and romantic. 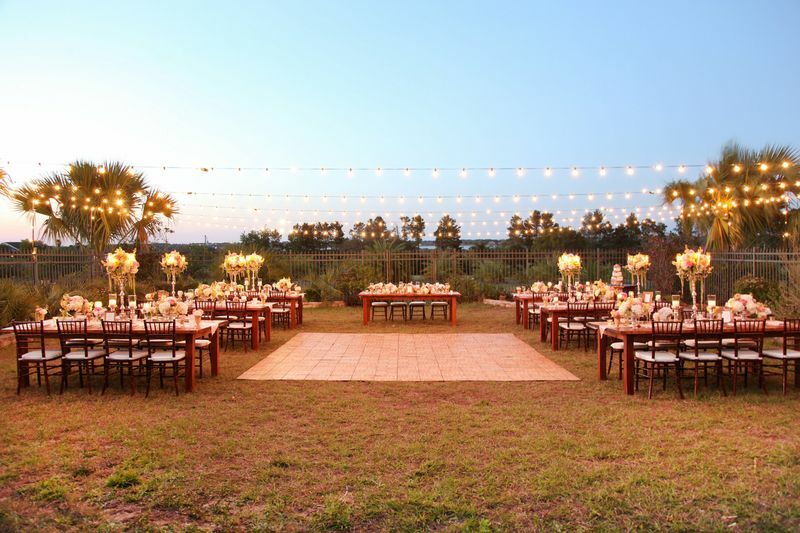 Indoor and outdoor reception areas were set-up and both were equally beautiful. The indoor reception looked like something from a period film, with ivory linens paired with A Chair Affair‘s mahogany brown chiavari chairs, Flowers By Lesley‘s white and pink centerpieces, and Weddings By 2 + Hue‘s accent pieces. Flowers By Lesley did a remarkable job with all the centerpieces. 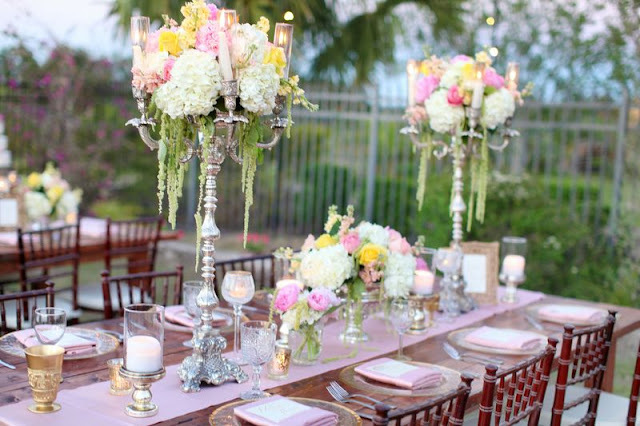 The vintage candelabras filled with a variety of florals and candle accents really took our breath away. 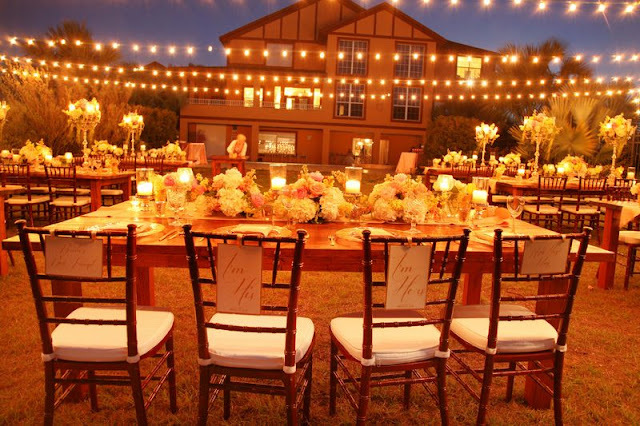 A Chair Affair‘s farm tables paired with their signature chiavari chairs provided a unique foundation and seating option to the outdoor setting. 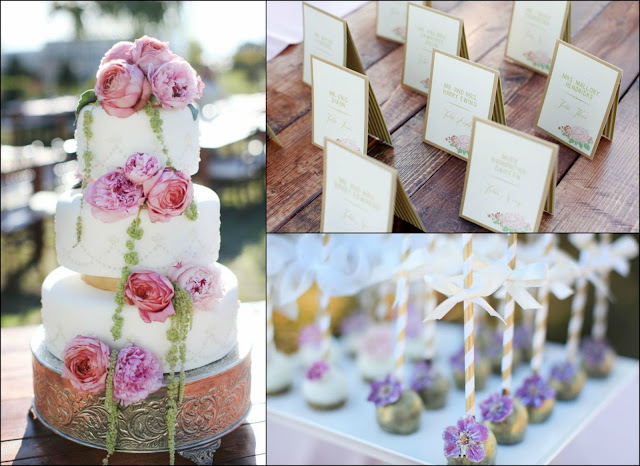 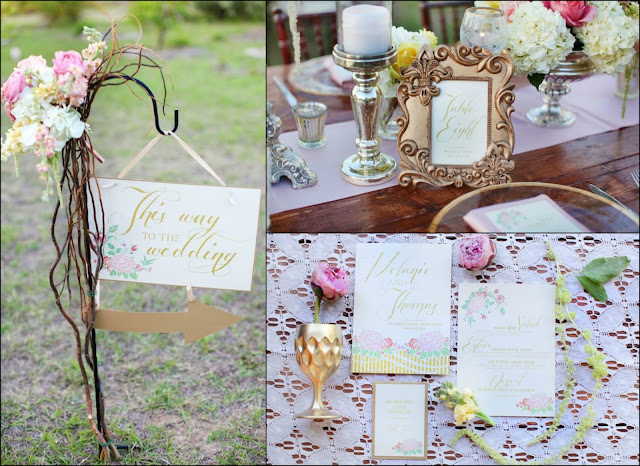 Weddings By 2 + Hue‘s gold ornate picture frames acted as a perfect accent to Dogwood Blossom Stationary‘s gold with rose accents menus and invites. The attention to detail on RW Chocolate Fountains‘ cake pops and cupcakes made them really stand out. 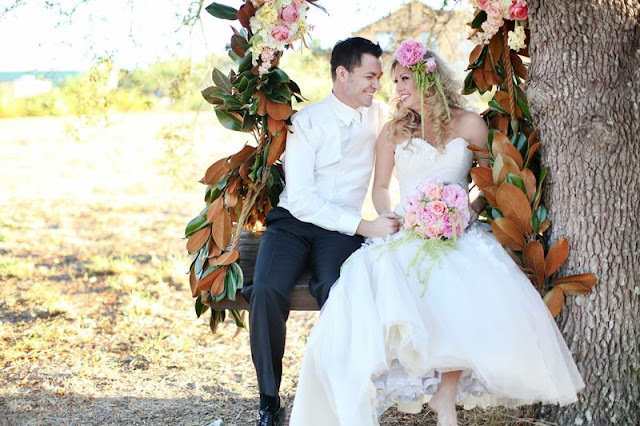 The flowers on them were actually real, edible flowers dusted with sugar! 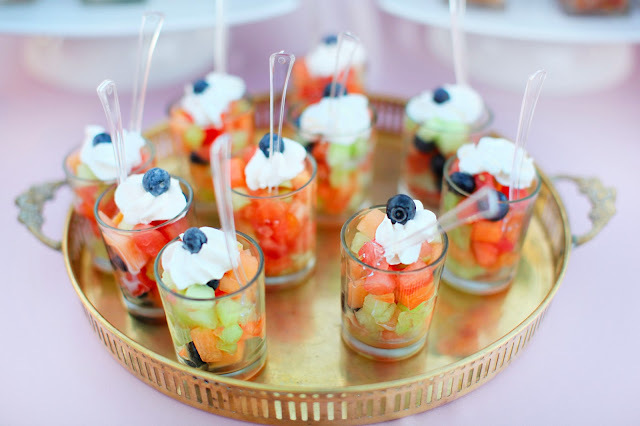 Not only were they stunning to look at, they tasted amazing as well! 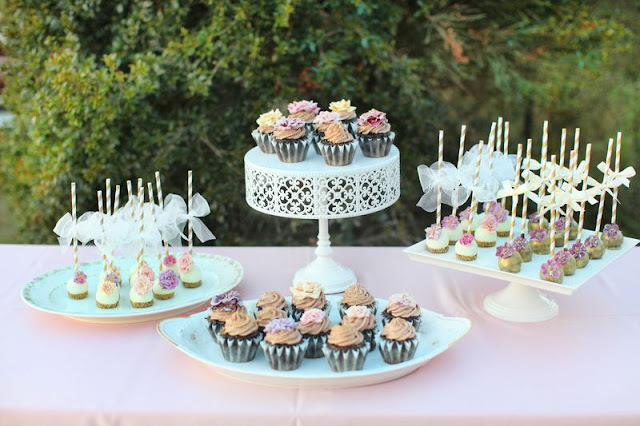 Iva’s Cake Place‘s towering ivory and rose cake looked fit for a queen and the individual hor d’oeuvres made by Bjoely Events Services were delicious.